When Will I Stop Craving Xanax? Xanax, or alprazolam, is a prescription sedative used to treat anxiety disorders and panic disorder. Many people abuse Xanax without a prescription and for non-therapeutic purposes, which can lead to tolerance and addiction. If you stop using it, withdrawal symptoms – including strong cravings – may occur. If you’ve been regularly abusing benzodiazepines such as Xanax (e.g., taking more than the prescribed dose or abusing it without a prescription) and you suddenly stop, you may experience intense cravings due, in part, to some persistent neuronal changes that develop over the course of the Xanax addiction. When you’ve made the decision to quit using Xanax, it will be important to recognize your cravings so that you can overcome them and prevent relapse. The presence of a pill bottle as a trigger. Inability to concentrate on tasks due to thoughts of Xanax. Cravings are a completely normal part of recovery. They are nothing to feel guilty or ashamed of, and they are manageable. If you have quit using Xanax and are experiencing intense cravings, don’t hesitate to seek treatment to help you overcome these cravings. Many different forms of treatment and therapy are available, and they can teach you the appropriate skills to use in stressful situations. Individual therapy: Therapists use different techniques to help change maladaptive behaviorsto healthy behaviors and to teach coping strategies for craving Xanax. Group counseling: People can share their experiences with Xanax addiction, practice coping skills and offer craving management advice. 12-step programs: Narcotics Anonymous uses the 12 steps popularized by Alcoholics Anonymous. You work through the steps in a group setting and with support from a sponsor. If you’re craving Xanax and fear that you can’t overcome it, call your sponsor. 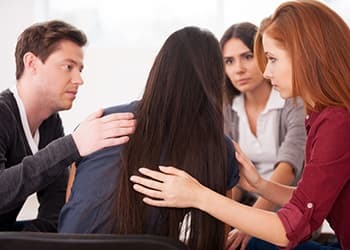 Outpatient treatment: You link [url=”//www.recovery.org/topics/find-the-best-outpatient-rehab-center/” ]live at home and tend to home, school and work responsibilities while participating in a Xanax addiction treatment program[/link] for part of the day. Inpatient treatment: You reside at a rehab facility while completing detoxification, undergoing an initial mental health evaluation, then receiving ongoing individual therapy and group counseling. Cognitive behavioral therapy is a common therapy used to treat benzodiazepine addiction. 3 It focuses on the connection between thoughts, feelings and behaviors. CBT therapists work to repair dysfunctional thoughts to influence positive feelings and behaviors. Who Answers? to speak to a trained advisor about treatment options for overcoming Xanax addiction and dealing with cravings. Avoidance: The best way to fight Xanax cravings is to learn to avoid situations that may cause you to crave Xanax. Don’t put yourself in situations in which other people will be using substances. 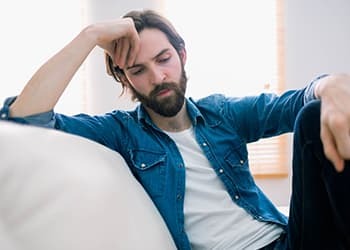 Relaxation: Relaxation techniques – such as guided imagery and deep breathing – are taught for people to use when experiencing cravings or negative emotions. Talking it out: If you are craving Xanax, don’t keep it to yourself. The feeling may only get stronger. Talk to a family member, friend or 12-step sponsor about what you’re experiencing. Distraction: Do a healthy and Xanax-free activity that can help free your mind of your preoccupation with using. Self-talk: The thoughts you have about yourself influence your emotions and behaviors. Remain positive and encourage yourself throughout your Xanax cravings and recovery. Can You Stop Xanax Cravings Naturally? Meditation: Listen to relaxing music and repeat a positive mantra to yourself. This may take practice, but it helps to promote relaxation. A dual diagnosis treatment program will be able to treat a Xanax addiction and any co-occurring mental disorder, behavioral addiction or simultaneous substance addiction. It is common for people with a mental health condition to abuse substances. Conversely, substance addiction can also cause a mental disorder to develop. Specialized dual diagnosis recovery programs are becoming increasingly common. Antisocial personality disorder (especially when the sedative is obtained illegally). Dual diagnosis requires an integrated treatment approach that addresses your underlying reasons for Xanax abuse, works to correct thinking patterns that may lead to abuse and helps you maintain sobriety. Without the proper dual diagnosis treatment, someone suffering from an addiction to Xanax may have a greater chance of future relapse. Do not attempt to detox on your own. If you are addicted to Xanax and suddenly stop using it, you may experience withdrawal symptoms that can be life-threatening. 1 Do not attempt to detox on your own. Seek assistance from your physician or a mental health professional if you’re thinking about quitting Xanax. If you’ve resolved to quit Xanax, or you’ve already quit and are experiencing severe cravings and/or symptoms of withdrawal, medically supervised detoxification is the safe way to proceed. You will receive the proper medication and comfort necessary to detox from Xanax safely. Who Answers? to find an addiction treatment center that can help you detox safely. Flumazenil. Scientists are also researching the benzodiazepine antagonist medication flumazenil. It may be either implanted underneath the skin or used as a cream or a patch. In preliminary trials, it has decreased some withdrawal symptoms and improved cognition, memory, mood and motor functioning. 5 Seizure remains a concern with this line of treatment however and, to date, the FDA has not approved its use. Generally, cravings will improve around the fourth or fifth day of abstinence. Xanax withdrawal symptoms, including cravings, can appear within a few hours after you stop using it. They will most likely peak in severity around the second day and show improvement around the fourth or fifth day. The length of time you were addicted. Your physiology and mental health status. The amount of Xanax abused. Once you quit using Xanax, be aware of certain behaviors or thoughts that could lead you to relapse. Recognizing these warning signs is extremely important. You can prevent relapse before it occurs and receive the necessary treatment to continue living a healthy, substance-free life. Exhibiting a pattern of denial and defensiveness. Lacking belief in your recovery program. Reconnecting with old friends who use Xanax. Believing that you can use Xanax again without falling back into the pattern of addiction. These are all tell-tale signs of an impending relapse. The most important thing is recognizing the signs and taking action to prevent a relapse. Call your sponsor if you’re a member of a 12-step program. Attend a 12-step program if you haven’t. Join an alternative support group, such as SMART Recovery or Secular Organizations for Sobriety. Attend group counseling at an outpatient facility. Re-enter an inpatient treatment center. Use coping skills learned in therapy. Share what you’re going through with family and trusted friends. Go to a sober living home, where you will be among drug-free people and receive the support you need to prevent relapse. It’s important to remember that relapse doesn’t mean failure. Seek out support systems and maintain a positive attitude to persevere through recovery. If you or a loved one is struggling with Xanax cravings or displaying relapse signs, call 1-888-319-2606 Who Answers? to speak to a treatment support specialist who can inform you of your recovery options.
. Mol, A., Gorgels, W., Voshaar, R., Breteler, M., Balkom, A., Lisdonk, E., Zitman, F. (2005). Associations of benzodiazepine craving with other clinical variables in a population of general practice patients. Comprehensive Psychiatry, 46(5), 353-360.
. Cully, J.A., & Teten, A.L. 2008. A Therapist’s Guide to Brief Cognitive Behavioral Therapy. Department of Veterans Affairs South Central MIRECC, Houston.